Walmart is now offering a chance to Get Free Nokia Lumia 710 Windows Phone 7.5 Mango powered Smartphone. If you want to try the very first Windows Phone Operating System Smartphone from Nokia than you can get it with the authority of world's largest discount retailer T-Mobile. The current price of Nokia Lumia 710 in United States is just $49.99 with a new two year contract with T-Mobile. By offering a free Nokia Lumia 710 smartphone, Walmart will no doubt boost the Nokia and Microsoft device's presence in a large way. The free Nokia Lumia 710 offer applies only to all new two year contracts users of T-Mobile. If you already have a T-Mobile account that you want to upgrade you will still have to pay $49.99 for the Lumia 710 but if you really want to try out what Nokia and Microsoft is offering and you don't have any T-Mobile account, than its your best chance to get Nokia Lumia 710 Smartphone without any cost. The Nokia Lumia 710 contains the most powerful 1.4 GHz processor, 5-megapixel camera, 512 MB of RAM, and 8 GB of internal storage and above all Microsoft Windows Phone 7.5 Mango Operating System. It’s seriously a best Smartphone of its kind. So what are you waiting for? 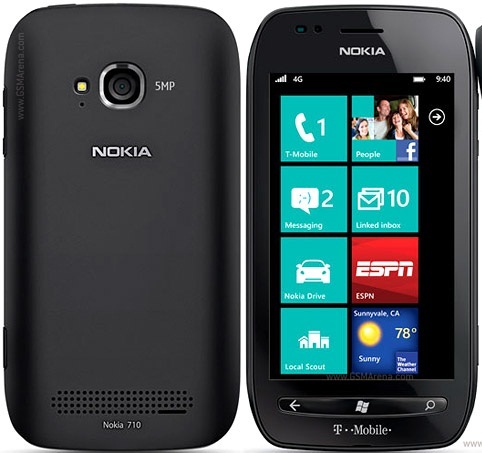 Click here and sign up for a new two-year contract agreement with T-Mobile from Walmart and Get Nokia Lumia 710 for Free.